We know the web world can be confusing with all kinds of buzz words being thrown around. During the discovery stage, lots of different companies may try to sway your decisions in one direction or another - probably one that fits their particular offering, and bank on the fact that you may be overwhelmed by all the new terminology to sign on (if you are, you should read our How to Rank on Google: Understanding the SERP article). At Bloomtools, we always aim to simplify the web world while helping you find the right online presence for your business. But beyond taking an honest, informative approach to digital marketing and web development, what makes Bloomtools your ideal partner? Does your business fit into a box? We didn't think so either, and that's why we don't use templates but design unique business websites based on your unique business needs. Each website starts with a conversation to find out just what makes you stand out in your industry, which we magnify to highlight why your website visitors should choose you. Want to see some samples? We don't mean to brag, but take a look at our design gallery for real, live website inspiration. We'll create a business website that is on-brand, on-trend, will resonate with your audience, capture their attention, and get you more leads. Having a custom website design is great, but if you can't use its full capabilities or are dependent on a developer to make changes, are you really getting the most out of it? Our business websites are built not only for user experience and functionality, but ease of use for you and your team. We know that it's all fun and games until a new page needs to be made, so we create all our responsive websites on our drag-and-drop editor that allows you to make edits quickly, easily, and visually. But don't worry, you're never alone - if you simply want us to make an update, our team is always available to you for support, guidance, and updates. What's a future proof website, you ask? Have you ever spent countless hours and dollars on building a website that's obsolete a year later? Has your business offering changed but updating your business website or adding features would require an entirely new website build? We call our websites future proof, because they grow and evolve with your business. Our team keeps abreast of all the newest tools and offerings from search engines, the W3 Consortium, and Canadian digital requirements to make sure our websites are all up to scratch. Best of all, when you choose Bloomtools as your web partner, you will get all these updates for free. Have you ever heard the word 'plugin'? These are tools used to perform special functions on your website. Think of them as the furniture to your house - a website form might be like your sofa, or your website gallery tool might be like your bookcase. Websites use these to enhance functionality and user experience on pages. However, not all plugins are created equal. Some may break, others may need to be updated too frequently, and others yet may fall by the wayside by the original developer. Our tools are built to work unequivocally on your Bloomtools business website. We build, service, and update all of our plugins (or tools) in house, so you will never have to worry about managing updates or bug fixes. Best of all, if a tool should not work, you won't be pushed around from one developer to another because we are the only developer for your website. We like to say, you'll only have one neck to choke. Further, our tools aren't just about your website; we also offer database marketing and a CRM all under one login to simplify your digital needs. 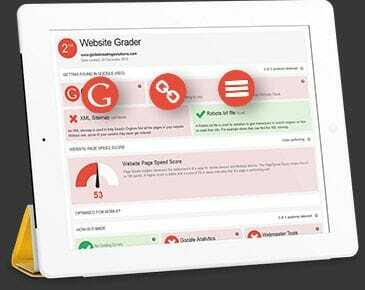 Bloomtools takes business websites very seriously, and that's why we're not your average web host - we're business grade hosts. Our hosting is reliable because we don't just host on a shared server, we host on our own, multi-server clusters in three separate locations. Bloomtools hosting is robust thanks to our multi-server clusters which are load balanced to ensure that if you get extra traffic on your big break, your website won't fail when your audience grows. We also take security very seriously, so all of our websites are guarded with the highest level of security. On top of multi-factor authentication to ensure maximum security, you can choose the level of security and access you give out to your website. Ok, you get it, we're really good at building business websites, but is this all we have to offer? You'll be happy to know that in order to keep on top of all that's new in the world of web, we have an entire team of experts in every discipline. Whether you're looking to advertise on Google or Facebook, develop a consistent content strategy, need help with your SEO, or a social media calendar, we have the team to make it happen for you. We go beyond website building to bring agency-style marketing practices and expertise to your business. Whether you're looking for an occasional blog or an entire lead generating marketing strategy, our team members can help guide you through and manage your digital strategy. Forget the hassle of hiring one company to build your website, getting another to host it, a third to write content, and then a fourth for web development. Get everything your business needs to garner more leads and brand awareness online from Bloomtools' all-in-one hub of web development services. Contact us today to learn how we can help your business bloom!